Every good story needs an antagonist. Beowulf isn’t epic without Grendel; Harry Potter doesn’t become the Boy Who Lived without Voldemort; and without Darth Vader, Luke Skywalker is still toiling as an anonymous farmboy on Tatooine. It’s a superior villain makes a plot memorable. 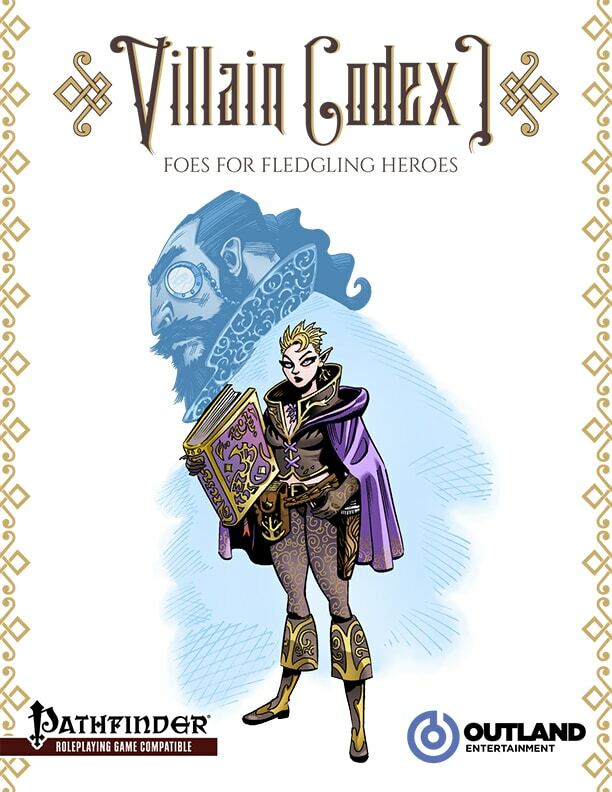 The Villain Codex I: Foes for Fledgling Heroes presents 12 exciting, memorable NPCs for players, complete with stat blocks across a range of challenge ratings (3-8) to provide GMs with combat challenges their players won’t see coming. Written by Authors: Andres Bermudez, Matthew Browett, Nik Geier, Scott Janke, Mikko Kallio, Luis Loza, J.T. McRoberts, Jacob W. Michaels, Michael Riter, Andrew Umphrey, and Christopher Wasko. As characters become more powerful, so must their adversaries. 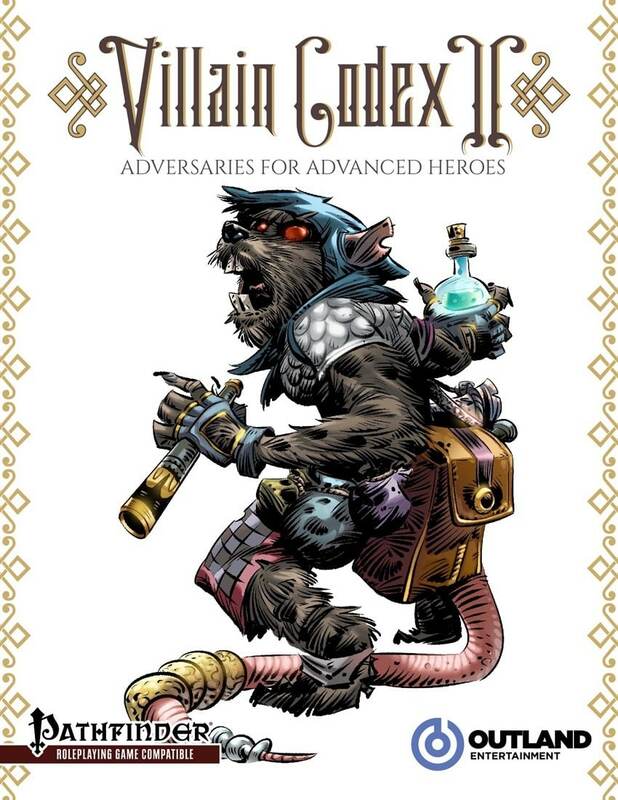 Thus, Villain Codex II: Adversaries for Advanced Heroes is full of new foes for GMs to pit against their PCs. As in Villain Codex I: Foes for Fledgling Heroes, Villain Codex II: Adversaries for Advanced Heroes presents 12 exciting, memorable NPCs for players, complete with stat blocks across a range of challenge ratings (9-14) to provide GMs with combat challenges their players won’t see coming. Welcome to the Parliament of Monsters, where beasts come to meet. 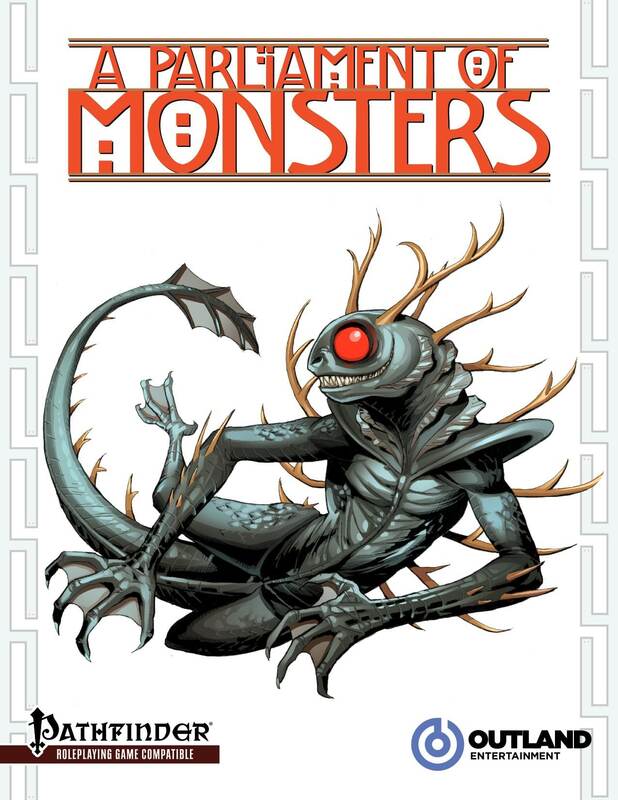 Written by Nicholas Wasko & Christopher Wasko, Parliament of Monsters presents 5 new monsters to challenge players: the Aitvaras (CR 2); Linnorm, Dune (CR 12); Onyare (CR 5); Planaurochs (CR 4); and Solar Spider (CR 4). Many spellcasters know divination as the school of magic related to knowledge: divination spells can remotely explore and examine the world, foretell the future, and uncover secrets hidden by magic, deceit, and even time. Sensory wizards view “knowledge” as bits of information acquired through one’s perception of the world, inextricably linked to the senses that absorb the information and interpret its significance. What good is a name, for instance, without ears to hear it or eyes to read it, when its meaning is lost on those unable to perceive it? To comprehend ideas and philosophies, one must first be able to experience one’s surroundings through one’s senses, the oldest and purest means of acquiring knowledge. Details of the Sensory School, a new focused arcane school option for would-be diviners. 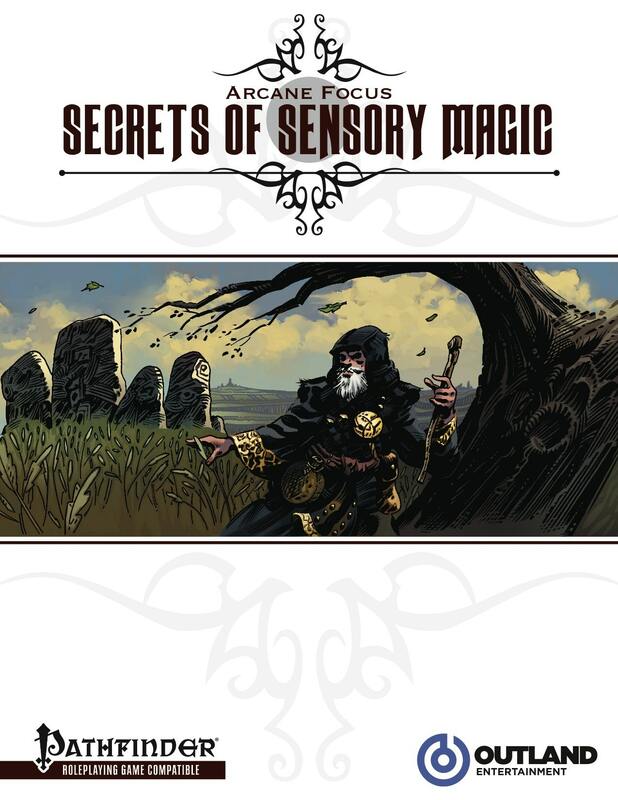 Advice on the roleplay of Sensory Wizards, including characters and adventure hooks to ease the integration of the Sensory School into your campaign. 4 New Spells, 3 New Magic Items, a New Racial Trait, and details on the spellbook of a Sensory Diviner. 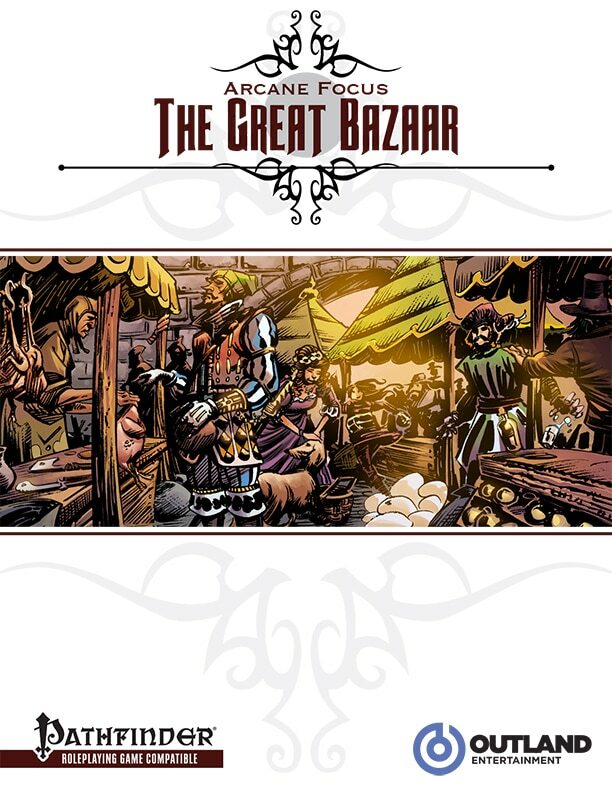 The Great Bazaar is filled with wonders from far-flung lands, from the mysterious wares that can be procured among its many shops to the extravagant shopkeepers themselves. This product includes seven different shops suitable for insertion into any bustling marketplace in a fantasy campaign. From the purveyor of exotic eggs and beasts to the contrarian collector of news and information, these characters—and the magic and secrets they have for sale—are sure to intrigue your players. The adventure hooks, items, monsters, feats, and other content can also stand alone as exciting additions to your campaign. The common view of wizards is that of the cloistered academic. While many wizards spend their days surrounded by ancient tomes and mystic paraphernalia, there are those who chafe at such an existence. For those wizards whose wanderlust is as strong as their thirst for knowledge, the life of the vagabond mage is very appealing. 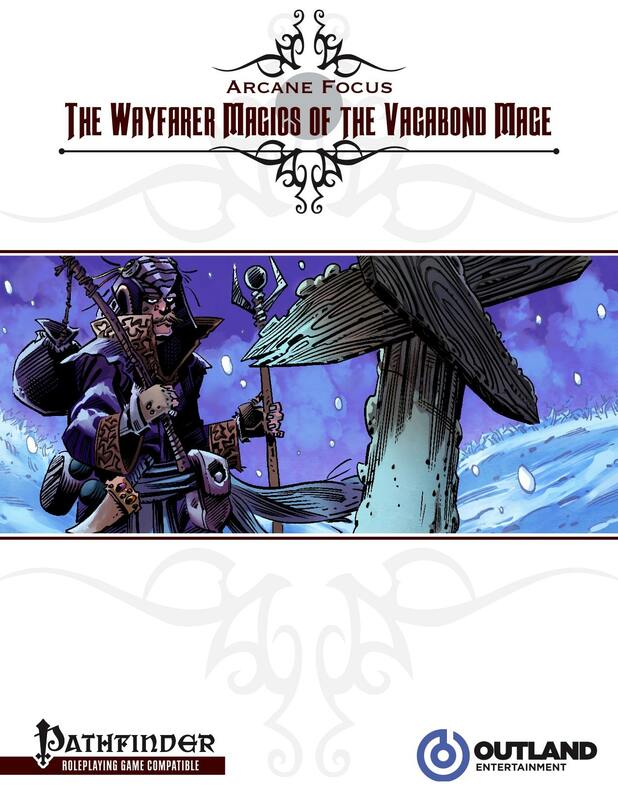 Not a defined focus so much as an underground tradition, vagabond mages are transmuters who focus on movement, preferring spells that allow them to travel quickly or to overcome the difficulties of the varied terrain they encounter. Details of the Vagabond School, a new focused arcane school option for traveling transmuters. New Spells, New Magic Items, and advice on the roleplay of Vagabond Mage, including characters and adventure hooks to ease the integration of the Vagabond School into your campaign.